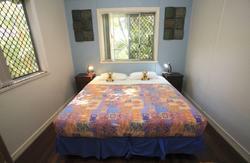 The Hervey Bay YHA hostel offers all the facilities and convenience of a resort, surrounded by 8 acres of tropical landscaped gardens and pathways. The hostel has received top honours in the Tourism Awards for 4 years running. 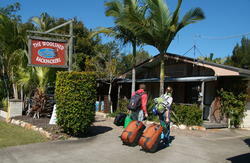 Backpackers facilities include quality accommodation, large pool, tennis courts and restaurant. We offer free Wifi thought-out the hostel, Free discount voucher in our restaurant, and a tour desk. Hervey Bay Airport Shuttle runs from the airport for a small charge. Queensland Rail offers complimentary bus drop off to our front door. The best in the Bay!